The announcement of Cadence of Hyrule – Crypt of the NecroDancer Featuring The Legend of Zelda (to give its unwieldy full name) in yesterday’s Nindies Direct presentation was a delightful surprise. Although we’d heard whispers of another 2D Zelda possibly releasing this year, this collaboration with an indie studio Brace Yourself Games – a developer with just one (very successful) game to its name – is somewhat unprecedented; Nintendo is letting an indie developer play with one of its big-name franchises. It wasn’t long ago when Nintendo wouldn’t acknowledge the existence of small developers unless they had a non-residential office address. The company’s approach to indies has evidently changed a lot since the WiiWare days. It all seems to have come about thanks to a DLC pitch by the team for Crypt of the NecroDancer which really fired up Nintendo’s interest. It's heartening to see the company embracing the spirit and talent of these studios - yesterday’s ‘Nindies’ Direct was full of strong titles across a variety of genres. The strategy of using these reveal videos to plug gaps between bigger Directs seems to be working very well. Indeed, some might argue that yesterday’s video was better than some of the company’s more lacklustre Directs. Nintendo has often used outside studios to support or fully develop games using its biggest stars. Ubisoft’s Mario + Rabbids: Kingdom Battle was a very successful recent crossover, taking the plumber and his friends into a new realm of XCOM-style turn-based combat, but other franchises have seen traditional entries coming from teams outside Nintendo’s wheelhouse – the Capcom developed Zelda games on Game Boy and GBA, for example, or Sega with F-Zero GX. There have been numerous collaborations with Bandai Namco over the years. More recently, Mercury Steam was trusted with Metroid: Samus Returns, and the crossover with Starlink: Battle For Atlas is arguably the best Star Fox content we’ve seen in a long time. However, those all come from established third-party studios with many high-profile games to their names – giving indie developer the keys to the Zelda franchise feels daring and the trailer itself sizzles with energy and freshness. Of course, we’ve yet to sample the game but if it’s anything like as good as Crypt of the NecroDancer, we’re surely in for a musical treat. It makes you wonder why the company has taken so long to tap the potential and enthusiasm of hungry upstart developers. Nintendo will, of course, continue to develop the majority of its tentpole series games in-house, but seeing as it’s beginning to trust top tier franchises to smaller studios, we thought we’d take a light-hearted look at some of their other treasured properties that could work well in the hands of a talented indie dev; we doubt that COHCOTNDFTLOZ (as absolutely no-one is, or will ever be, calling it) will be the last. When Axiom Verge first came to Wii U, developer Thomas Happ wanted to include an unlockable Samus costume for the game’s protagonist, Trace, to wear. Despite enthusiasm, ultimately the powers-that-be in Nintendo HQ decided that it wasn’t appropriate, but this excellent Metroidvania has held over many a fan as they wait for the next 2D entry in the Metroid series. Of course, the Wii U version is finally getting a physical release at the end of the month (yes, this month!). With the 2D branch of the Metroid series seemingly lying dormant, a cross over with Axiom Verge would be a fine way to bring Samus back to the second dimension. Failing that, thanks to the incredible work of indie developers in the genre, there’s a long list of brilliant alternatives to choose from – check out our selection of the best Metroidvanias on Switch and take your pick. Okay, while we know there are many differences between Fast RMX – the updated version of the futuristic Wii U racer that launched with the Switch – and F-Zero’s particular brand of twitchy high-speed racing, but Nintendo seems content to let the franchise lie in state. The best we’ve had since Sega’s excellent turn at the wheel with F-Zero GX sixteen years ago is a Mii-based minigame in Nintendo Land, some charming nods in Mario Kart 8 and Captain Falcon’s inclusion in the Smash Bros. roster. As lovely as an amiibo is, why shouldn’t Nintendo let an enthusiastic indie have a crack in the Blue Falcon? Sixteen years!!! This would really be the daddy – a bona fide 2D Mario platformer from an outside company. Super Mario Bros. is possibly the most played, most analysed video game in existence, but it would take a brave, audacious developer to attempt a Mario game – not only to nail the basics, but also to have the courage to add new ideas rather than create a homage. There are too many options to pick just one - take a look at our selection of the best 2D platformers on Switch for a couple of ideas. One area that could definitely use some fresh ideas is the aesthetic. The New Super Mario Bros. art style served the plumber fine, but it’s surely time for a change. The fan game Super Mario Forever shows above what a pixel-based alternative could look like, but the sky’s the limit. With Super Mario Maker 2 enabling gamers themselves to make their own Mario, why not give a small developer the opportunity to spice up the tried-and-tested 2D Mario recipe? Worst case scenario? Just make another one. 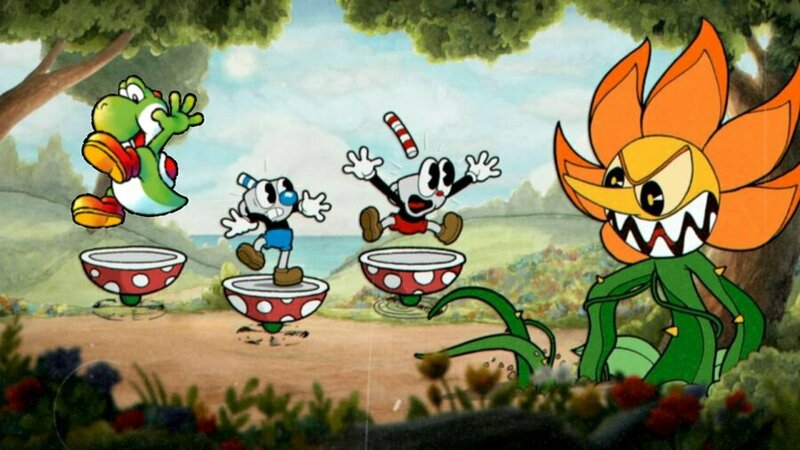 The rumour of Cuphead coming to Switch was confirmed during the opening of the latest Nindies Direct and we’re ecstatic that it’s been liberated from the console confines of Xbox One thanks to some behind the scenes dealings between Nintendo, Microsoft and the game’s developer, Studio MDHR. Its 1930s-style animation perfectly captures the look-and-feel of cartoons of the era and it’ll be a joy play on-the-go on Switch. So now Cuphead and Mugman have arrived on a Nintendo platform, why not get Yoshi in on the action? He's going through every other art style he can get his hands on, so why not rubber hose Fleischer animation? It would be refreshing to see the dinosaur in a rock-hard platformer, a far cry from his usual relaxing fare. Another dormant Nintendo franchise. We’ve seen some Kid Icarus-style games before (remember NyxQuest: Kindred Spirits?) but it’s been a while since Kid Icarus: Uprising on 3DS. 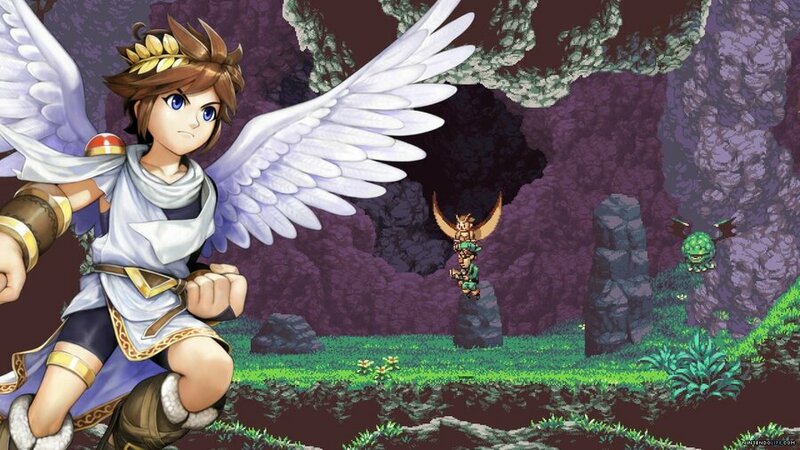 Now that we’ve recovered from the hand cramps induced by that game's awkward controls, a crossover with D-Pad Studios’ Owlboy would return the series to the platforming roots of the original game and we’d love to see Pit back in action in a non-Smash context. Director and designer Simon Stafsnes Andersen originally took inspiration from Kid Icarus, and judging by the result, there’s no-one better to handle the series’ return. 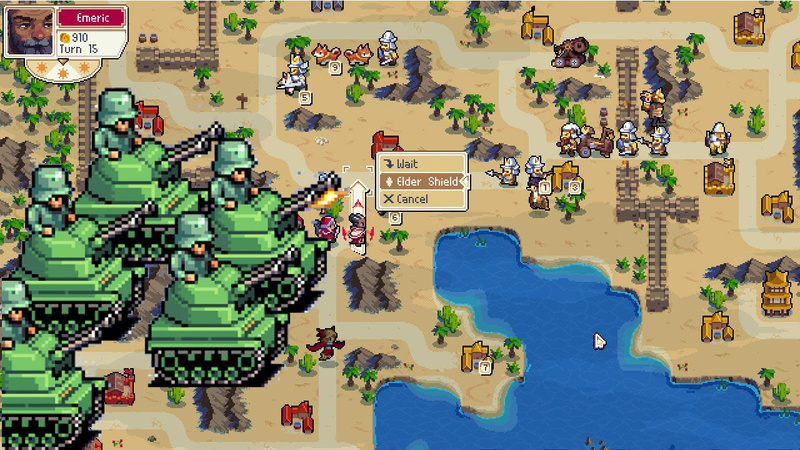 Possibly the least work-intensive proposal from this list of ideas, Chucklefish’s Wargroove is heavily inspired by Nintendo’s turn-based Advance Wars games, from the art style down to the mechanics. Of course, there are differences, but an official collaboration would be an excellent way to satisfy fans of the series while Intelligent Systems concentrates on the Fire Emblem franchise. Oh-no-we-didn’t! Okay, calm down, calm down – we love Mario Party, as our review of the latest entry attests. However, it’s tough to argue that every single game in the long-running series has been a winner. Some of the minigames can be hit-and-miss, which can seriously put a dampener on any party. After all, party-goers need constant diversion – it only takes a 30-second lull to burst the bubble. 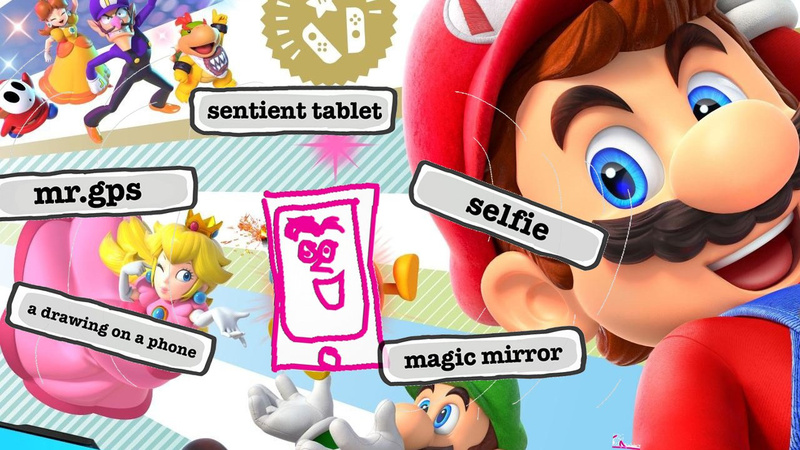 Imagine, if you will, a genuinely hilarious, Jackbox-style party game featuring the Mushroom Kingdom crowd. Alternatively, something along the lines of Wii U’s unsung Spin the Bottle: Bumpie’s Party might help freshen up the slightly sterile Mario Party formula. It couldn’t hurt to experiment with the series – Lord knows there’ll be another entry along soon enough. Which one of these has the most potential? Can you think of any other fitting crossovers between Nintendo franchises and indie titles? Think Olli Olli X 1080° Snowboarding sounds promising? How about Meat Boy X Mario? Pop into the comments to share your ideas. This was a good read and very creative and well thought out. Owlboy and Kid Icarus has to be a thing now! I've been thinking let Team Cherry or Image and Form make a Metroid game between Super Metroid and Fusion. Can Next Level Games get another Punch Out and Mario Strikers? Okay, I thought the last one was a joke, but Jackbox / Mario Party would work really well tbh. I just want a Splatoon rhythm game. I don’t care who makes it or what it’s a crossover with (just not Just Dance), but it needs to happen. I feel like all these suggestions are basically putting the original inspiration inside the new game. Except Yoshi and Cuphead which has an even more vague connection. Sure there are differences between Axiom Verge and Metroid but you whack Samus in Axiom and you get basically Metroid. That is not what Necrodancer and Zelda gives you, it’s not what Mario and Rabbids gave us, those are games unique to the Nintendo franchise. We’ve never had a Zelda rhythm game before, we’d never had a Mario strategy game, but we’ve had a Metroid Metroidvania and an F-Zero racing game and a Mario party game. That’s why these two have happened but not others. Maybe go less obvious than sticking Advance Wars in Wargroove to make Advance Wars and think what if Kirby met Wargroove? What if Splatoon met Yoku’s Island? That’s way more interesting! @Ogbert Yeah I feel like this article misses the point of the Zelda collab completely. They're basically suggesting which Indie companies should make the game they made previously, just with Nintendo characters. It's very uncreative. Mostly a big NO to this article. There's nothing new in what's suggested. That's boring. Think hard again about what made Mario X Rabbids great for example versus why Metroid 2 Samus Returns is so...solid but relatively dull. Or Mario RPG vs one of the "New Island" Yoshi games on DS/3DS. Like, NL take 2 seconds to think about a thing. Embarrassing. If Cuphead X Yoshi is a thing, then Yoshi would have to fire those eggs pretty fast, unless he spent his time spitting watermelon seeds instead. @TheWretchedCrow I think I would rather see WayForward handle a Wario Land game. Shantae: 1/2 Genie Hero is aesthetically very similar to Shake It, and both series made their debut on the GBA. Risky Boots is already basically Captain Syrup, anyways. Either that or, since many of their protagonists are female heroines, I would like to see WayForward tackle a Super Princess Peach 2. I think the first one is criminally underrated. Also, Mario DLC in Cuphead. Cuphead and Mugman are dressed like Mario and Luigi, fighting a giant Donkey Kong on steel girders. Since the original DK arcade game is evocative of the 1930's King Kong, the era in which Cuphead is set, I think it makes too much sense. I would love to see an evil DK rendered in cel animation. Agreed on Mario Party. Plus, that's not going to kill any energy just by existing. "Kaptain K. Rool is kidnapping all of DK's animal buddies with the help of another mysterious evil pirate! How will the Kongs rescue them in time from being plundered forever?! Meet Shantae, the transforming half-genie! She's hunting pirates, too, and she'll grant the Kongs' wishes to reach their hapless animal buds...by unleashing her own inner animal! You can also use her platforming prowess to help you get through the jungle by becoming an agile monkey, a tough-and-rumbling elephant, or a flying Harpie! Follow the beat of your own drum and beat-down those pirates!" a RPG Mario game in style of Undertale. Can we get either a traditional, linear platformer or a Metroidvania with Splatoon mechanics?? I need a 2D splatformer in my life. I agree with @Ogbert that this article misses the point. Let’s see crazy, off-the-wall ideas and fusions! Let’s get Toby Fox (creator of Undertale and Deltarune) to make an ARMS RPG (an ARM-PG, if you will 😉). Let’s get collaborations that are genuinely surprising and that bring new, fresh, risky ideas to beloved franchises. Give Captain Falcon back the keys to the Blue Falcon, even if he drives in an indie racer. Poor guy's probably out collecting petty cash on bounties due to the lack of F-Zero racing events. I kind of feel like anything's on the table at this point. Both with XBox exclusive content, and 3rd party collaboration. Games I would have thought impossible by the Big N's rulebook are now right in front of us. Wild, yo. @justin233 A million times, yes. I think that the Splatoon IP has enough momentum behind it that its strong enough to float some spin offs, and a rhythm game is first and foremost. Mostly because all the different in-game bands have backstory that I think could be elaborated upon, and a music-based game would be a perfect setting. Maybe a 'Floor Kids' collaboration, but focusing on your Squid Kid and their impeccable fashion sense. @Broosh That could be a great head canon reason for Falcon in Smash. Thanks for another great read, Gavin! I'd love to see any of these happen. However, what I think I'd love most is for Team Cherry to tackle Metroid. Axiom Verge is obviously fantastic, but it's effectively a spin on Super Metroid. Hollow Knight, on the other hand, takes plenty of inspiration from Super Metroid (as any Metroidvania should) while also doing it's own thing with plenty of original ideas. 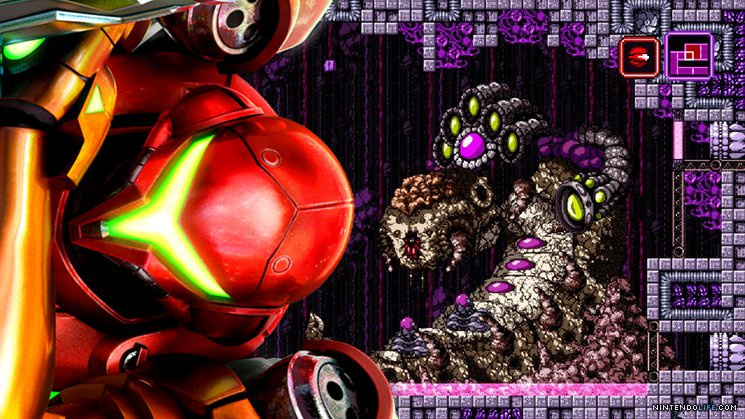 It'd be great to see how their exquisite art and level design would mesh with the Metroid series. Pokemon X Xenoblade. Pokemon x Hollow Knight. The reason I’d like a dev like Team Cherry to take on Metroid 2D is to lift it out of the retro pixel art. I mean I love that kind of art, but Metroid has been there in many low-res forms and it has so much potential to work in other styles. Nothing against Axiom Verge. Still, others have a point here. Metroid is in dire need of something new and my guess is the Ori devs or Team Cherry would do that but it would be still somewhat classic mechanics. From Software + Legend of Zelda. The dark souls games and Brath of the Wild are lonely adventures. Metroid Prime + No Man’s Sky. I’ve never played NMS, but I think it would be fun to explore a Metroid universe and collect bounties across different planets. You could still make it have some Metroid power-ups across each world. How about City Skylines X Pikmin. The Pikmin population are flourishing so much they need a safe haven to dwell in, and the only way is to build a community for them to gather in. Natural Disasters come in form of bugbear attacks and blowhogs, etc. Or maybe just Pikmin 4. NL seems to be asking “what crossovers incorporating Nintendo IP you would like to see”, but then the article answers “which studios would you like to tackle existing (and neglected) Nintendo franchises”. Both are valid questions. The former is a much more creative and open question/answer. The latter would mitigate some of the frustration we gamers have over long dormant IP that we’re desperate to revisit. A few of these ideas unfortunately conflict with what Nintendo is already trying to market, like Super Mario Party, Yoshi's Crafted World, and New Super Mario Bros U Deluxe. Nintendo loves for their core games to remain evergreen. This is also why Nintendo is very stingy with releasing more than one 3D Zelda on a single home console. Releasing Twilight Princess/Skyward Sword/any other 3D Zelda on Switch would dilute the value of new Switch owners going straight for Breath of the Wild for a 3D Zelda. Wind Waker HD + Breath of the Wild on Wii U was an exception to the rule due to BotW being delayed and positioned more as a Switch launch title. Basically, Nintendo only seems open to throwing their IP's around if the game in question is a unique experience and wouldn't cannibalize their own games. For instance, a Stardew Valley X Animal Crossing will never happen due to Nintendo wanting to sell their own farming sim. The reason why Caden of Hyrule was approved is because a rhythm game probably won't directly compete with a game like Link's Awakening. I fully agree! That's what I was saying on the Cadence of Hyrule article! A Donkey Kong rhythm game would be awesome, something akin to Tadpole Treble (remember, it got a 9/10 review here!) 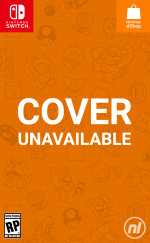 but featuring a DK story line with similarly memorable and catchy tunes to work through. Or: a Mario 2D combat game! Think Runbow but with Mario characters, set in the Mushroom Kingdom, and not limited to the basic color palette concept that Runbow excelled within. The possibilities are endless, but I hope that if these dream combos do get together, the end result isn't simply a pastiche of both groupings but rather a developed and unique property in the end. THAT is what made the Mario vs Rabbids game so good: it stands alone as neither yet both. Yeah. As others have noted - getting developers who have a unique and innovative gameplay mechanic to make a Nintendo-ified version of their game is what we should be looking at. Not getting the best tribute band up on stage to play the hits. Cadence of Hyrule will be an objectively more approachable game than Necrodancer (which is fantastic but brutally difficult). It will weave in Zelda gameplay mechanics in subtle ways to make for something that's very different to Necrodancer. It won't be replayed as much but it'll be "better" for most players. In terms of suggestions I don't know. There are so many indie games doing interesting things but not many really shout out "this is almost a great game but could be amazing if Nintendo take an active interest and put their characters in it". Cuphead with Mr. Game and Watch. Oh, and Steamworld (Heist or the new Quest) with a R.O.B. appearance would be grand. Board Game Simulator x Mario Party. Really sick of seeing Cuphead at this point. Was left severely underwhelmed by Axiom Verge-- would prefer to see her in A Robot Named Fight. "Feature: Nintendo Indie Collaborations And Crossovers We’d Like To See"
"A Good Party Game X Mario"
Pie in the sky wishing here, but how about a Nindies Fighter Pass for Smash Bros.? Have it come with a playable character, stage, tracks, and a new Assist Trophy? I'm with Ogbert on this. I'd rather see them put Nintendo characters in games with different formats and twists than in their main games. It's a lot more interesting than shoving them into a similar game. If I want Mario/Yoshi in a platformer, or Link in an action/adventure game, Nintendo already does that. I'd like any indie cameos to a bit more interesting than putting them into what we're already accostumed to. Stardew Valley X Animal Crossing. Uhhh captain falcon is already in Fast RMX. @TheUnrestCure there was a donkey Kong rhythm game for the GameCube. Can't remember exactly title now but it had a cool bongo drum accessory. I believe you're thinking of Donkey Konga. We got Zelda musou, now Zelda rhythm. How about Zelda RPG? Link & company would fit nicely in a FF Tactics or Fire Emblem style game. Most of these suggestions are really lazy and nothing creative like CotND X LoZ. Samus in Axiom Verge? Nintendo might as well just make a new 2D Metroid. 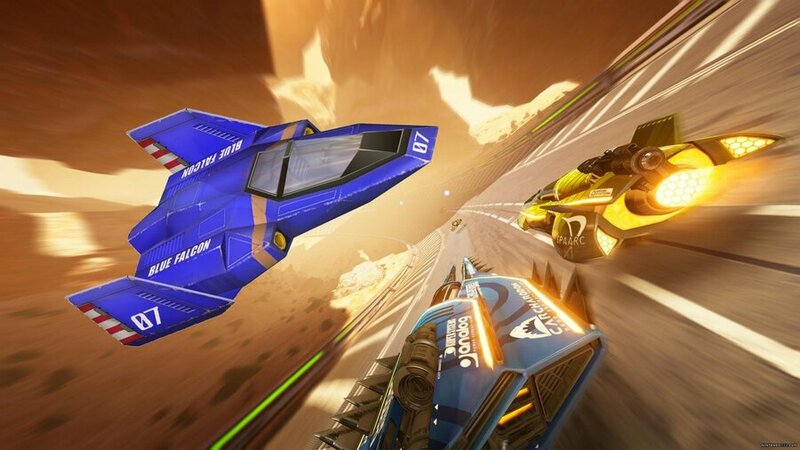 Blue Falcon in Fast RMX? Just make a new F-Zero. Advanced Wars in Wargroove? Make a new Advance Wars. Why not something actually creative, like Mushroom Kingdom X City Skylines, Metroid X StarCraft-like (Feds v Pirates), or an indie dev to make that 2D Splatoon game. 2.5D Metroid meshed with Cuphead like visuals and ink splatters. Almost like a hyper frenetic splatter motif a la cyberpunk comics of the 80s and 90s? Call me crazy, but... Nintendo Wars × Papers, Please. Considering how hectic the political strife could get in that franchise's fictional countries, it'd be neat to see how it affects the civilians you don't hear about in the conversations amongst the commanders. Very generic and obvious list merging 2 games of the same type (except Yoshi, but it is probably because of the weird graphics). @TheWretchedCrow I would actually pay money to see this happen! Some of those are missing the point of how those crossovers bring Nintendo franchises to new realms. I don't think there was a rhythm Zelda game before (although musical themes have appeared in it) or an X-Com style Mario game. Samus with Axiom Verge would be just Metroid (though I wouldn't mind if Axiom Verge people made a 2D Metroid). Wargroove X Advance Wars could be an interesting "weird war" crossover (with tanks vs dragons), but nothing particularly new, since both games are very similar. You have to go deeper, like Wargroove x Zelda giving birth to the first Zelda strategy game or a dungeon crawler Metroid. I'm saying, captain falcon is already in fast rmx. no joke. I just want a Zelda game done like Binding of Isaac. With item synergies and tons of items/dungeons. Except add a central hub like a village to upgrade armor and even character stats. With the hub having dungeon entrances as well as hidden passages to other dungeons. Given BOI's top down view and the fact it was inspired by Zelda it would be a perfect fit IMO. Can Monster Games get another shot at Excite Truck?